September’s Hat Attack was designed and created by the mother-daughter duo Heidi and Kelly Wade at Heidi Hat HERE in Aspen, Colorado. All hats (along with their line of yoga wear) are manufactured in Colorado. I discovered this charming boutique when visiting Aspen in July HERE. This black fabric cloche is adorned with a whimsical Pucci fabric flower. How could I possible resist its playful appeal? I love movement in my accessories, and this hat has the ability to make me smile as I fine-tune its placement and adjust the angle of its fabric flower. Headwear provides the power to transcend! Don’t you agree? 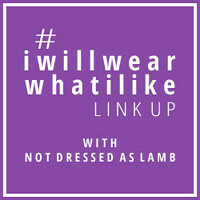 Linking up with Jess for Turning Heads Tuesday HERE at Elegantly Dressed and Stylish and Catherine for #iwillwearwhatilike HERE at Not Dressed As Lamb. Please display your hat, headwrap, headscarf, headpiece, fascinator, hair flower, headband or other adornment for your head that you adore, give The SC a SEPTEMBER HAT ATTACK and kindly link to Style Crone somewhere in your post. Can’t wait to see the beautiful contributions that you share throughout the next week. Participation will be open through Monday, SEPTEMBER 7th. My, don’t you look a picture! Perfect with that touch of Pucci. I agree totally that headwear provides the power to transcend. Love the shot of you in the frame , picture perfect indeed. Very nice! The frame is such a cute idea for a photo, I just might steal your idea! Sometimes you look for another way to pose. Another gorgeous hat Judith, and you are a stunning masterpiece in that frame! Looking gorgeous Judith! The playful flower on the hat is just awesome! My dear you are the poster child for Pro Aging! You look absolutely stunning my dear! Truly radiant! I couldn’t agree more with the transformative power of headwear! It can be a powerful force as you so aptly demonstrate in your glorious images! Thanks again for hosting one of my favorite blog gathering! As usual, your beatific self beams from the page. And as Tamara said, you indeed are the poster child for pro-aging. I especially love how you incorporate creativity in your dress but don’t seem to feel it means dressing “youthful” or copying style from the fad of the day. Thank you for your ongoing inspiration. Hats truly do take an outfit to the “next level”. I totally agree! There is nothing better than finishing off your attire with headwear because it simply does just that, it transcends. You were very wise in not leaving without this playful and very versatile hat. You are just so damn gorgeous in these photos – excellent posing!! Love the close fit of the hat with the contrast of the large playful flower. There is nothing like a hat to consolidate your look. A hat defines character, expresses personality and makes an individual statement about your creativity…. That whimsical and coquettish blue flower says so much more on your head than on a lapel! Madame Hall is feeling a ‘hat attack’ coming on right now, inspired by you, lovely Judith! Let see what evolves from that …..??? So agree with all the commenters, lovely, lovely hat and beautifully posed, Judith. I’m coming on Hat Attack shortly – see you soon! Again a lovely hat and so well styled. I showed your Hat Attack photos to a friend of mine and she cried : “What a beautiful woman! !” When I added you are 70 years old she didn’t want to believe it. You are an example to many. I dont think you have met a hat you didnt like! I love every one you wear in its own uniqueness! The beautiful blue flower really accents your eyes, love it!! That is the most elegant hat, and the blue flower adds even more glamour. Just gorgeous! I so agree – your photos look like they’re right out of Vogue. Very beautiful in every sense. How could anyone resist a Pucci fabric flower? I found a hat! So I am happy to join your lineup, although late, and thank you for hosting again. Ah, Judith, picture perfect as always! I really enjoyed reading Sylvia’s feature post today on your visit! Such a generous and lovely lady you are! Judith, you look lovely – the blue flower is so elegant and fun. Thank you so much for hosting “Hat Attack!” – I’m happy to make it again!